Innervisions Counseling & Consulting Center is recognized as a leader in providing a full array of behavioral healthcare services. Services offered include individual and group therapy, outpatient services, case management, physician services, medication management, residential services, inpatient services, housing services, 24-hour crisis intervention, and prevention / education programs. Our staff is listed below and look forward to serving you. 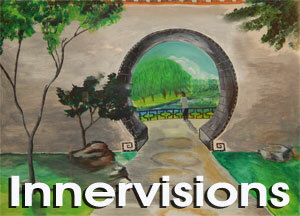 Karen is the office manager for Innervisions Counseling. She is dedicated to assisting the clinicians in any way possible. She is compassionate, caring, understanding, and values confidentiality in her area of work. She is happy to assist in scheduling an intake with the best therapist that meets your unique needs. If you are in need of consultation or trainings for your company/agency, she would be happy to assist you in lining up this service with one of our experienced therapist. Judy is a seasoned therapist who enjoys working with people from all walks of life. She is a client centered therapist focused on reaching your goals through guidance, support, and empowerment. Judy weaves into her practice neurophysiology that allows for a deeper personal transformation. Judy works with individual, couples, families and adolescents age 12 and up. Judy is an EAP provider specializing in treating anxiety disorders including generalized anxiety disorder, panic attacks, social phobia, post traumatic stress disorder (PTSD). She also treats trauma issues, grieving issues, depressive disorders including bipolar, major depressive disorder and pervasive depressive disorder, teens of divorced parents. Judy is Certified in Eye Movement Desensitization and Reprocessing (EMDR), trained in Brainspotting 1 and Brainspotting 2 classes, Motivational Interviewing, Cognitive Behavioral Therapy, Brief Solution Focused Therapy, Reality Therapy and Mindfulness. Judy works with a number of issues which includes: Borderline Personality Disorder, Domestic violence, family conflict, parenting issues, relationship issues, Bipolar Disorder, Coping Skills, Obsessive-Compulsive (OCD), Peer Relationships, Self Esteem, Dissociative Disorder, and Mood Disorders. Christina Brooks received her Masters of Social Work from the University of Wisconsin- Madison. She received her undergraduate degree in Psychology with a Human Services concentration from Edgewood College in Madison. For over a decade she has worked with children and families in various roles as a Certified Social Worker. She has experience working with children in kinship care and the foster care system, children who have been victims of physical, sexual, and emotional abuse, children and families who have experienced adverse life situations (i.e. poverty, homelessness, domestic abuse, trauma, parent incarceration, and bullying). She also has experience working with children with intellectual, as well as learning disabilities. She works from a strength based approach to treatment when working with children, adults, or families. Her Christian faith assists her with this strength based approach. She incorporates play into her therapeutic work with children. Christina is passionate about assisting children, as well as adults, through the obstacles life presents to them. She is dedicated to assisting individuals of all ages in using their strengths and learning new skills to overcome the present struggles and life situations that have led them to treatment. Laurie Duraney recently retired from the Ho-Chunk Nation Division of Behavioral Health, where she served as a Behavioral Health Clinician II. She is a Licensed Clinical Social Worker with a Substance Abuse Specialty Authorization in the state of Wisconsin. She is experienced in working with people with co-occurring mental health and addiction problems, older adults, and providing culturally competent addiction and mental health treatment. Ms. Duraney has worked in a variety of treatment settings, including outpatient, partial hospitalization, and inpatient facilities in Wisconsin and her home state, Pennsylvania providing individual, group, and family therapy. Nick has a Bachelor of Arts degree from UW Oshkosh and a Master of Arts degree in Community Counseling from Lakeland University. Nick meets individuals, children, families and couples; and accepts them where they are, helping them progress to where they want to be. He has a particular passion for working with children that have ADHD, single parents, groups, art related therapy, families and couples. His areas of focus include, but are not limited to: anxiety, depression, self-esteem, parent-child conflict and ADHD. Nick’s counseling style is interactive, person and solution-focused; and ensures a comfortable, safe and supportive therapeutic environment. Nick realizes that relationships are very important in our lives. Although he may use a variety of therapeutic tools, he knows that the professional relationship you form with your therapist has a large impact in bringing relief and healing to your life. Nick believes that understanding, compassion and trust are essential to the therapeutic process. In his free time, Nick enjoys spending time with family and friends, being outside in nature, traveling, reading, and meeting new people. To accommodate client needs, Nick offers evening sessions in both the Baraboo and Juneau areas. Colleen James is an experienced therapist with many years in the field. She is experienced in working with clients who suffer from depression, stress, anger, blended family issues, and AODA struggles. She is well versed in working with clients on crisis issues, or working through medical challenges such as end stage illnesses i.e. cancer diagnosis, loss and grief, etc. Colleen enjoys working with others who struggle with daily living challenges of seeing the “glass half full verses half empty” through different groups i.e. meditation, Yoga, as well as different support avenues. She is experienced in working with correctional institution environment issues and most aspects of law enforcement personnel who struggle with different issues while working in the field. Cheryl received her Master of Science degree in Mental Health Counseling from Viterbo University, a CACREP Institution. She also has a Master degree in Education from Viterbo, along with a Master Level Certification in autism spectrum disorders from the University of St. Thomas. Cheryl worked for many years with children, adolescents and young adults with intellectual, learning, and behavioral issues along with individuals on autism spectrum. Cheryl is an avid advocate in the areas of disabilities and the aging. She believes all individuals have the right to determine how they want to live. Cheryl uses a person-centered, strength-based approach and incorporates cognitive behavioral, mindfulness, narrative and wellness techniques into her counseling sessions. Kacey Fuller is currently in her concentration year of the Masters of Social Work program from Edinboro University of Pennsylvania. She received her Bachelor of Science in Psychology from the University of Wisconsin-Whitewater. She has previously interned at the Augusta Warrior Project in Augusta, Georgia and currently interns with Innervisions Counseling. She has experience working with military veterans and their families, as well as domestic abuse and violence survivors. Kacey is currently pursuing CCS training to work with counties in the area. Kacey incorporates play as a therapeutic intervention with children, and emphasizes the need for client-focused therapy. She emphasizes self-care to her clients, and is a huge advocate for a human-animal bond to assist in the therapeutic intervention process. To accommodate client needs, Kacey keeps scheduled hours at both the Mauston and Baraboo locations. Earning her Master’s Degree in Counseling from Lakeland University and working in the county system for 6 years, Amanda has experienced working with children, adolescents, and adults with mental health concerns who have walked through a variety of life challenges. She has experience in dealing with (but not limited to); depression, anxiety, trauma treatment, physical/sexual abuse and self-esteem. Amanda uses a holistic approach to promote healing and growth. While working with individuals she thrives to help each of them to reach the goals they have set for themselves. Amanda believes that everyone has a story, as well as, individual hopes and dreams for the future. She is skilled at focusing on personal strengths, to promote growth towards personal goals. Amanda has an eclectic strengths-based approach to therapy including Person-Centered Therapy, Dialectical Behavioral Therapy, and Trauma-Focused Cognitive Behavioral Therapy. She works with people of all ages, including children, elderly, marriages and families. Katie completed her Master’s Degree in Community Counseling from Lakeland University. Katie meets with adolescents and adults, and focuses on issues pertaining to stress-management, self-esteem, body image, depression, anxiety, life transitions and more. She draws on a variety of approaches to support the people she works with, and helps them create change through cognitive, behavioral, mindfulness, and skill-building techniques. She also employs the use of meditation, visualization, and creative exercises to help individuals develop insight and aid in self exploration and expression. Katie tailors her approach to each person’s unique personality, preferences and needs, and she focuses on helping them make the changes THEY want to see in their lives. Katie provides individuals with a caring, non-judgmental space to explore their concerns and create solutions. She keeps hours in Baraboo and Juneau county locations.